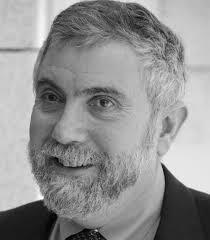 The piece published below by Paul Krugman, at http://krugman.blogs.nytimes.com/?8dpc. is part of our occasional series of comments by respected progressives (and sometimes non-progressives!). Here Krugman argues, as we have, that Americans tend to have an acceptance of economic inequality based on a kind of implied Social Darwinism. This oversimplifies Krugman and the American outlook but observes that those that have greater wealth generally Merit it, and vice versa. This is not only different from the current view in many countries that greater wealth is not always “earned,” there is a larger component of luck—or structural factors than many Americans would acknowledge. 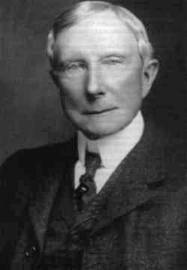 It also (America’s view for much of the past 150 years) different from the 19th (and earlier) Century view that wealth was just sort of the natural order of things (a view prevalent in ancient and Medieval times as well), without much attention to how that order emerged. 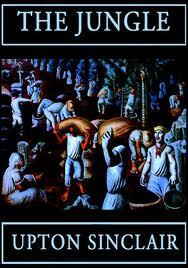 Systematic inquiries into the origins of inequality emerged in the 19th C. writings of David Ricardo and Karl Marx, among other, and at least hinted at in the work of Adam Smith in the late 1700s. The topic has been most recently taken up on a grand scale, as noted in our previous blog entry, by Thomas Picketty in his CAPITAL… IN THE 21ST CENTURY. Via the FT, a new study compares perceptions of inequality across advanced nations. The big takeaway here is that Americans are more likely than Europeans to believe that they live in a middle-class society, even though income is really much less equally distributed here than in Europe. 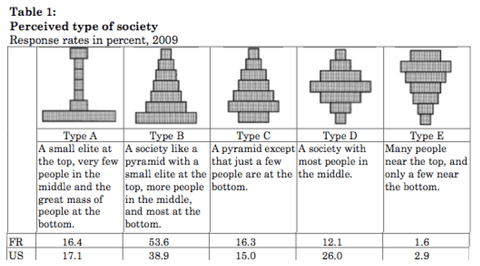 I’ve truncated the table to show the comparison between the U.S. and France: the French think they live in a hierarchical pyramid when they are in reality mostly middle-class, Americans are the opposite. As the paper says, other evidence also says that Americans vastly underestimate inequality in their own society – and when asked to choose an ideal wealth distribution, say that they like Sweden. Why the difference? American exceptionalism when it comes to income distribution – our unique suspicion of and hostility to social insurance and anti-poverty programs – is, I and many others would argue, very much tied to our racial history. This does not, however, explain in any direct way why we should misperceive real inequality: people could oppose aid to Those People while understanding how rich the rich are. There may, however, be an indirect effect, because the racial divide empowers right-wing groups of all kinds, which in turn issue a lot of propaganda dismissing and minimizing inequality. I feel like one of the last kids on the block to take on this book, cited by Paul Krugman as possibly the most important book on economics of the decade. From an opinionated Nobel Laureate no less. The buzz, the hype, the blockbuster nature of CAPITAL: ON THE ORIGINS OF INEQUALITY IN THE 21ST CENTURY made this web-blogger cautious about taking it on too quickly. Was this a “black swan”, a good piece of work by a French thinker that could have been written (but wasn’t) by 100 other equally talented writers, or “the real deal.” It is the latter. I am listening to it the first time around on CD, an odd way to “read” an Important Book, but one that allows the listener to focus on the literary qualities—even poetry– and hear without easy access to tables and graphs. That can come later. The book beguiles from the starting gate by its simplicity, down to earthiness, accessibility, common sense arresting phrases like “the regaining of control of capital wealth by Democracy.” It so far lacks the punchy agenda writing of a Krugman, Frank, Kevin Phillips on the “Left” or a Buckley or Breitbart, Friedman, Sowell for a Whitman’s Sampler of the Right Note: we put left in quotes because we consider the above mentioned to be centrist Left, and for that matter, the Rightists mentioned to be center Right. Although the comparison may be laughable, Noam Chomsky and Ann Coulter would be further out on the Left- Right Spectrum. And lively reading! Infuriating! 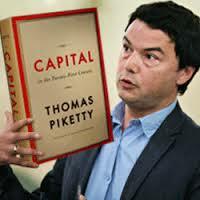 But back to Piketty. He immediately sets himself out of the pack by at least three writerly qualities, in his history and analysis of inequality as nearly if not The social issue of the last three and possibly next three centuries. He seems to strive to be: 1. jargon free (also cliché), he is clear and he is likeable, because of 2. references to books by Jane Austen and other familiar authors—not economists, but who breath a sense of the consequences of inequality into their stories. I am waiting for Charles Dickens. He is also, so far, 3. relentlessly Clear, and there, being anti-jargon, helps. He then considers Malthus, David Ricardo, and Karl Marx (we are only in the Introduction is this piece) and bores in on the pervasiveness of inequality in every aspect of life, without, at least here, politicizing it or passing swift judgment. But this arch line has considerable truth to it, and it weaves nicely with the social and economic concerns of Picketty about the new Market realities and dark places, although Piketty, for the moment is steering clear of playful sarcasm that makes the best, and all too rare, writing of the Left: Marx, Frank, and I’ll think of someone else if you give me a few minutes, come to mind. He is focused in his introduction on the ‘big Historical Force’ of inequality and its social and economic tornado path (or in his better metaphor “Deep Structure”), rather than showing his hand with any clear political agenda. Stay tuned.